12:50 PM The latest addition to our home page is called Carpenters for Jesus. Many thanks for your website. It is always encouraging, thought-provoking, and often convicting. 9:59 AM Peter Flaschner has stopped blogging. Here's why. I know I'll stop blogging one of these days, but I'm not there yet. It's still too much fun. 9:56 AM I'm having a blast teaching through the Greek text of Philippians this semester. I feel like a child wading on the shores of a limitless ocean. We just covered 1:1-11, which is full of wisdom. The soil has been pretty well tilled, but let's go over the basics again. Assistant to the Minister: The "pastor's" name. If you ever do this, send me a picture and I'll post it! 2) All Paul had belonged to his Master. Paul is merely a slave of Christ. Note that in the opening of the letter Paul is mentioned once but Christ is mentioned 3 times. Paul is already focusing on his Master, who Himself had become a slave (2:8). Becky and I desire to see ourselves always and only as slaves of Jesus Christ. In fact, we got out of the ownership business long ago. We are but stewards of our home, our farm, our possessions. We seek to use it all for Him and especially to expand His kingdom on earth. But we can always do better! 3) Every single believer in Philippi was a saint. This included Euodia and Syntyche, two women who were at loggerheads with each other. It included Epaphroditus, a "layman" and the church's lowly messenger to Paul in prison. It included a Roman jailor, a slave girl, and a wealthy seller of purple. It includes everyone in your church and in mine who is truly "in Christ." Are we teaching our people that each and every one of them has been set apart for God's use? 4) Those whom Christ has gifted as overseers and deacons see themselves first and foremost as part of the whole. Paul does not say that the saints are "under" but "alongside" their leaders. Shepherds in the church are still sheep, and they gladly identify themselves as such. Why then our platforms, our sacred desks, our chief seats in the synagogue, our diplomas hanging conspicuously on our walls, our titles? Paul teaches a "fellowship of leadership" (so Michael Green), not the hierarchical CEO model we have tragically adopted from the world. God help us! 5) Is the Gospel our priority in life? It was for Paul and the Philippians. We honor those who take the Good News to the far corners of the earth, but have we joined the Great Partnership that Paul is describing in v. 5? Each of us believers, and all of us together, are to be partners in the Gospel, not a group of spectators sitting on the sidelines cheering others on. 6) Paul was not afraid to use mushy "seeker-sensitive" language! "I long for all of you!" "I have you in my heart!" "I feel deeply for you, with the very compassion of Christ!" Paul was much more than an academic. He was capable of great feelings and not ashamed to express them. Even when he mentions the "enemies of the cross of Christ" (3:18) he does so "with tears." Warm affection -- do I have that for others? What is a seminary without love or a home without compassion or an office without affection? Sounding brass and a tingling cymbal. Now, Greek students, I have two suggestions on how to get the most out of this semester. 1) Read Philippians in your daily devotions. This is what I am doing. Let the book impact your heart as well as your mind. Parse AND pray -- these are not mutually exclusive activities! 2) Teach the book of Philippians to anyone who will listen. Teach it to your family, your children, your cell group, your congregation. Kill two stones with one bird and deepen both your knowledge and teaching skills. 9:23 AM I just went through my emails. I am always surprised and delighted by the great variety of correspondents I enjoy. Whether it's a missionary in China seeking advice on graduate studies or a skeptic struggling with the textual variants in the New Testament or a reader who liked one of our essays or a publisher discussing a contract, I always look forward to reading my daily letters. 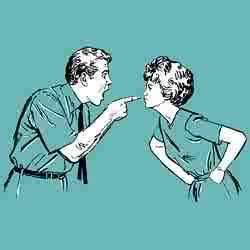 My policy is to respond within 24 hours, so if I am late in getting back to you, hold me accountable! 9:13 AM The authorship of Hebrews continues to be discussed in the blogosphere. I cannot help but wonder: Do those who quote Origen ever bother to read what he actually said? Had these authors read the works of Origen they would have seen that his actual method of quoting Hebrews indicates a firm belief in the Pauline authorship of the letter. A sampling of quotations will make this clear. On the strength of the ecclesiastical tradition that he had inherited from the “men of old,” Origen consistently cited the epistle as Paul’s. He expressed doubt only about the penman! 7:43 PM Here's a nice surprise. I just got back from a two-day marathon in Wake Forest to find my wife had prepared the most delicious Chinese supper I've ever had. Pork with carrots and onions over Jasmine rice, with okra and tomatoes as sides. How did she know I was in the mood for that meal? Sometimes I think she has a sixth sense. Meanwhile, rain continues to fall, and Ernesto is scheduled to pass our way tomorrow with another 4 inches. The Omniscient One who provided all this wonderful precipitation needs no sixth sense. 6:34 AM Looks like some much-needed rain may be on the way. Our corn field sure could use some. 6:31 AM I've already received several nice emails from new students at the seminary. I'm glad for them because they are in a great place at a great time. With this in mind, if you are in one of my classes this semester please make a special note of Saturday, October 21. That's Student Day at our farm. More details will be forthcoming, but please mark your calendars now. 6:27 AM I can't share any details yet, but it looks my lectureship to Muslim seminary students in Qom, Iran is going to happen. I'm excited because I always like new adventures and opportunities to share the love of Jesus. Please keep this matter in your prayers. 6:22 AM On Sunday night at Bethel Hill Baptist Church, Becky and Nathan did a fantastic job reporting on their trip to Ethiopia last May. Everyone had a good laugh when Becky showed this slide of her parents unpacking their suitcase at our home just before the trip. This was the same suitcase they had used 50 years ago when they went to Africa for the first time. Needless to say, by the time the suitcase had gotten to our house it had fallen apart. Off to Wal-Mart Becky went to get replacement luggage. 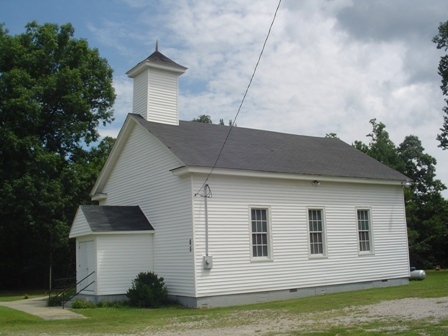 Bethel Hill has adopted the congregation of Soyama. This is a church in the Burji District, deep in the south of the country, and Bethel Hill is funding the completion of their meeting hall. It fell to Nathan to explain how the church buildings in Ethiopia were being destroyed by termites due to faulty foundation work. To correct the problem will cost about $5,000, but it is better to do this work now before the damage spreads even further. Incidentally, once the meeting hall is completed, the entire congregation can meet together at the same time. Currently, the children are left outside, hanging in the doors and windows. Hopefully by next summer everyone will be able to sit together. We have asked the elders in Soyama, and they have agreed, to have families sit together rather than having all the teenagers grouped together, the children seated together, etc., as is the normal pattern in many Ethiopian churches, a habit they picked up from the European missionaries years ago. Here Becky is sharing with the ladies of the church several reports she had written and also a letter that was personally addressed to the church by the elders of the Soyama town church. 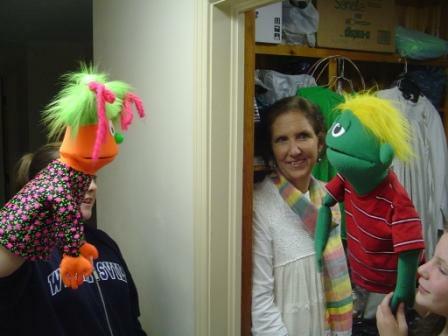 The Lord has put it on Becky's heart to explore a puppet ministry during our visits to Ethiopia. Here some young ladies from Bethel Hill are giving us an impromptu puppet show using some rather famous American characters. Becky put together this prayer sheet for the congregation. These are our current projects, many of which we hope to complete by the end of next summer. You'll notice that we'd like to begin taking representatives from each American congregation that has adopted a church in Ethiopia, beginning with or trip next June. At least two people from Bethel Hill have already expressed an interest in going with us. All in all, a nice visit to a nice church. Thanks, Bethel Hill, for your love for Ethiopia. Because of you, the poor believers in Soyama have the means to complete their meeting hall and thus will be able to gather as God's people. As the town people watch the Soyama believers I hope and pray that many of them will trust in Christ and be added to His church. 7:39 PM The latest addition to our home page is called What I learned During My First Semester in Seminary. 1) We had a great time last night at Bethel Hill Baptist Church in Roxboro, NC. Stay tuned for a full report. Meanwhile, you can check out the church's new website here. Kudos to webmaster Sheree Brown, who grew up in Ethiopia! 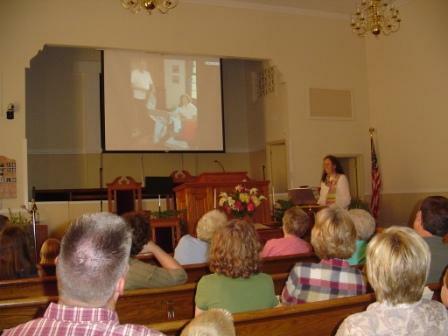 2) I completed my teaching series on the myth of adolescence at Childrey Baptist Church in Nathalie, VA, yesterday morning. This is a farming community much like ours, so there was a lot of praying for rain. By the way, the church experienced a milestone yesterday: they showed a video clip on a large screen for the first time in the history of the church. 3) Today's farm work? The chicken hotel, of course. Nathan has already ordered 200 chicks, so there's no time for dawdling. 5:45 PM I just reserved our room at beautiful Stoneridge (ca. 1829) in the picturesque Shenandoah Valley for our anniversary celebration next month. It will have been 30 exciting years. We also plan to stop off here and here during our trip, and Becky plans to bring home lots of herbs for her herb garden. 5:35 PM Somehow the dogs got out, either last night or early this morning. Those rascals. When they returned from visiting the neighborhood farms they reeked of skunk. Into the bath they went. I know they would have preferred the smell to the suds, but Mama insisted and wet they got. They needed a bath anyway. 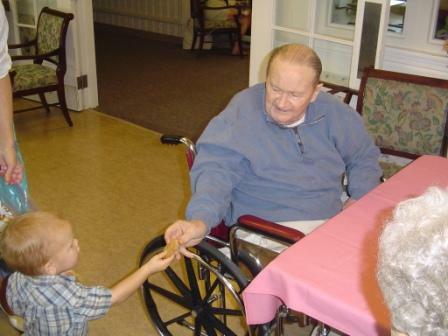 5:21 PM Today was visiting day at the local nursing home. Caleb and Isaac Rondeau worked hard yesterday to bake peanut butter cookies and were eager to pass them out to one and all. 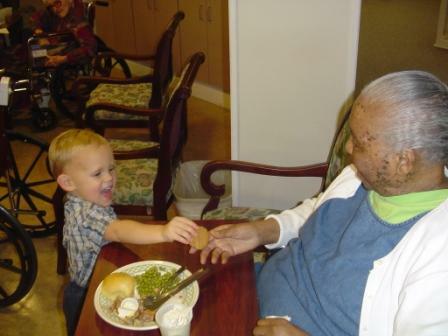 Here Caleb enthusiastically shares a cookie with our good friend Ms. Davis. Isaac was just as eager to do his part in bringing Christian cheer into the lives of the patients. Nobody was exempt from getting a cookie and a smile. There you have it -- biblical "deacons" hard at work. What a blessing for Becky and me to watch, and what joy they brought to these precious people. 10:21 AM Becky has just published her fifth and final Ethiopia report. It details the many opportunities there are to serve the Lord Jesus in that land. To read it, go here. 10:17 AM General Lee had his Traveler and I have mine. Trav is the spunkiest Thoroughbred I've ever met. If you visit Rosewood Farm don't be surprised if he comes running up to you at full speed so that you can scratch his neck. If you don't, he may nudge you a bit you with his muzzle. There is nothing like being on horseback and to enjoy an animal that has more more muscle in his neck than I have in my whole body. I hope to do a lot of riding this fall once it gets cooler. Update: I just rounded up Trav and 3 steers who had escaped from our pond pasture. The steers simply waded around the fence barrier. Trav decided he'd swim across the pond when he saw me. They are all now safely ensconced in our ripple field pasture, having been sternly reminded, "Zer ist no escapink fwom zis camp!" 7:59 AM The official motto for the Romanian Tourism Board is "Simply Surprising." I just received my flight itinerary for my lecture tour of this interesting country. I'll be gone from September 29 to October 9. We'll travel via Detroit, Amsterdam, and Budapest. I've been asked to lecture to students and pastors on the New Testament pattern of the church and will be speaking in many different cities and villages, from Oradea to Bucharest. If possible, I am hoping to get to Cluj where my maternal grandparents came from before emigrating to the U.S. in the early 1900s. You can't imagine how much I look forward to this trip. It's like a long-lost son going home for the first time. Now if I could only learn a few phrases of Romanian. We are the same, you & I. The world system says that we are "volunteers", that we work "for the church", that we should be paid or reimbursed, that people should appreciate us because we sacrifice so much of our time & energy. And when we think like this, it is very easy to feel frustrated and unappreciated. In this situation, it is easy to get "burn out" (when a person gets tired of working and decides to quit). I know. Don't you think that I am tempted also to feel this way? But I have come to realize that the Evil One is always tempting me to think according to the way the world (& most of the church institution) thinks; he wants to prepare me to quit. But what does our Saviour say? a) that we are not volunteers; we are slaves, purchased with His own blood. b) that we do not work for an organization called the church; we work for a Person, our Saviour. c) that every bit of work & sacrifice we could possibly do would be nothing compared to what He has already done for us. d) that He is continuing day & night to work for us, even though we fail Him over & over & over again; His love does not fail. e) that He has given us everything we need for the work He has called us to; we have only to correctly use what He has given. f) that in the right time and in the right way, He will reward faithful servants. "Abide in Me"; "All power is given to Me"; "My grace is sufficient"; "Come unto Me, you who are weary & heavy laden"; "God is not unjust to forget your work & labor of love." Becky is right. Jesus said, "My yoke is easy, My burden is light." So what right do I have to complain? 7:18 PM I've received several emails asking if my classes are all officially closed. The answer is no. The last day to add/drop a class is Thursday of next week. So if you need to add a class please do so before then. As always, I am available in my office at all times (except when teaching) if you need a signature. It was really nifty to see that someone else was doing what we have a passion for doing ourselves. What desperate need there is for the body of Christ to slow down a bit and reflect. Thank you very much for sharing that with us. Yes, it is wonderful chance to show Christian hospitality and get to know one another better at the same time. Next weekend we have a group of church elders retreating at Bradford Hall, and after that another large family will be staying with us. And so it goes as we practice the Gospel of Hospitality. Becky told me that she planted them against her better judgment. She would have preferred to plant another crop. 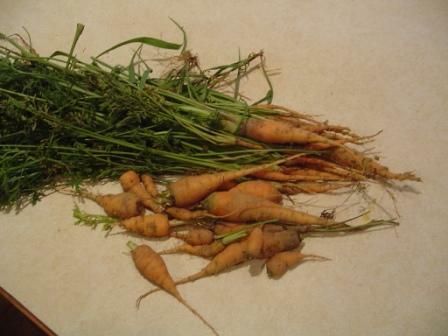 She planted them, she said, because she knew how much I enjoyed carrots. Now that's what I call love (see Phil. 2:3). Thank you, honey. 9:31 AM Here's an incredible story of Ethiopian shepherds who would rather die than leave their flocks. Jesus once called mercenaries who tend their flocks for their own self-interest "hirelings" (John 10:12). Good shepherds are willing to give their lives for their herds. 7:42 AM The following institutions have announced openings: Agnes Scott College (Religious Studies), Baylor University (New Testament and Old Testament), High Point University (Religion), Prairie Bible Institute (Old Testament), and Asbury Seminary in Florida (Homiletics). 7:39 AM Linguists have discovered that cows have regional dialects, according to this report. 7:27 AM Someone asked me if all New Testament textual critics are required to have beards (or at least goatees). The answer, of course, is yes. I wonder if I can get Keith Elliott to grow some facial hair before next year’s conference? For teenagers, unlike aging adults, the ultimate reward is not yet heaven — it is being "cool,” being entertained, being inspired. The teenspeak-talking evangelists assure these insecure kids that if they pray hard enough, they will not only be loved, but rich. Unlike the hell that is junior high, at New Life, they are resolutely on the side of the powerful and popular. Read Megachurches Court Cool to Attract Teens. The seeker-sensitive movement is turning out to involve some unexpected consequences, wouldn’t you say? 7:18 AM How to pronounce Hezbollah and other names in the news. 5:59 AM Millions are asking: How is the maison de poulet coming along? (Sorry, but English is too common for this chicken mansion.) 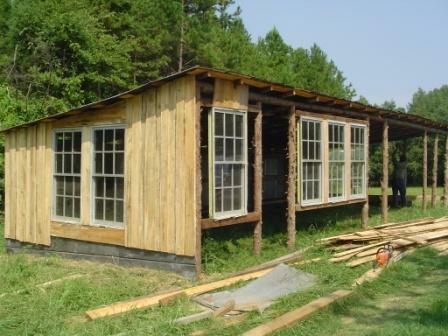 As you can see, we have begun putting in the windows and doors -- all of them scrounged, of course, from old buildings. I'm thinking of naming it "Hen Haven." Make that "Heaven." We hope to have the grand opening in a couple of weeks. Très bon, n'est-ce pas? 5:43 AM Yesterday we were eating breakfast on the back porch when our puppy Sheba began to bark furiously at something in the sky. She "chased" the bird back and forth across the backyard, though obviously the fowl creature was out of reach. Sheba jumped and jumped in a vain attempt to protect us from this evil predator soaring above our home. Becky remarked, "Well, I guess she's claimed the air space over Bradford Hall." Aren't dogs special? 6:44 AM A pastor who loves small churches joins the blogosphere. Welcome, Tony! The more involved I am in church work, the more I realize the real economic issues at work in America are either ignored or flatly misunderstood by the Church. I don’t expect such mission trips to be able to cover everything that is at play in what helps create, recreate, or sustain poverty. But let’s at least act like we mean it when we look for the face of Jesus in the poor. Let’s have a little respect for what they are capable of, instead of writing them off as welfare-dependent victims. Then we will really be looking for the face of Jesus in the poor. And not just the Jesus who died for our sins and fed the 5,000, but the Jesus who toiled with us so that our own labor might be redeemed. There are three things to remember teaching school. Number one, know your stuff. Number two, know whom you're stuffing. And number three, stuff them elegantly. 6:22 AM Hawaii became the 50th State on August 21, 1959. Even though I was only 7 at the time I well remember that day. Go here to read a Honolulu Star Bulletin story on the controversy this event still evokes in the Paradise of the Pacific. It's probably an argument without end. 6:19 AM My time at Green Run Baptist Church was delightful. I spoke one evening and again on Sunday morning. 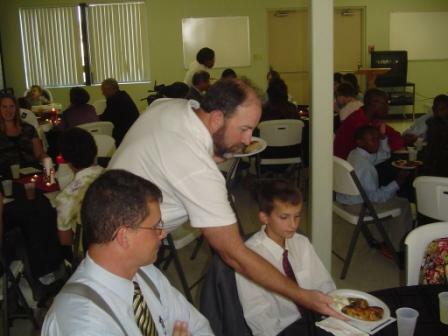 The banquet on Saturday was served by -- of all people -- the deacons, the "table servers." 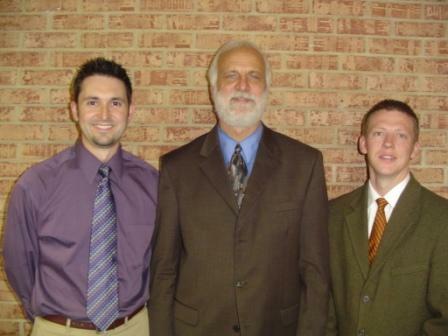 Pastors Joey (left) and Shane (right) are doing a great job, along with their elder team, of lovingly leading the sheep in a biblical direction, both soteriologically and ecclesiologically. Virginia Beach is an interesting place. In many ways it's a lot like Kailua where I grew up -- very military and therefore very transient. That can be a challenge for any congregation, but both Shane and Joey seem to be in the good fight for the long haul, and their people really love and appreciate them. Together we had lots of laughs, some moving times of prayer, and just plain old-fashioned Christian fellowship, the kind that makes a 4 hour drive worth it. 6:12 AM Speaking of the BBC, check out their country profiles. Just click on the country you're interested in and you'll find news stories, video clips, and more. 6:04 AM The BBC has an update on the tense political situation in Ethiopia. 3:53 PM Just back from Virginia Beach. I had a wonderful time. Right now I'm getting caught up on emails. I'll do my best to give everyone a response by tomorrow afternoon. 7:33 AM Pat Buchanan explains why Islamic militantism is on the rise. 1) A stay-at-home mom talks about her experiences while studying New Testament Greek. 2) Scott Furrow writes about the original language of the New Testament in his post The Ursprache of Discipleship. 7:12 AM Good news! The Greek professors in Addis Ababa have decided to produce a beginning Greek grammar in Amharic for use in their Bible Colleges. In fact, the project has already begun. It's being led by the Greek teacher at the Mekane Yesus (Lutheran) Seminary where I spoke a year ago. May God bless their work and use it to equip many believers throughout Ethiopia. 7:02 AM I'm not quite sure about it, but wouldn't you agree that anything done for Christ is spiritual? This thought occurred to me yesterday while picking okra. God has them so well camouflaged among the plants they grow on that there can be okra right in front of me and I still don't see them. Same with green beans. I suppose one develops a knack for picking vegetables, but I haven't gotten it yet. But is picking okra any less "spiritual" than writing books or preaching sermons? Only what is absolutely sinful (i.e., prohibited in Scripture) is unspiritual. Everything else can be a work of and for God, i ncluding the work of a shoemaker, a janitor, a housewife, even a Greek professor. That's why I've always felt it's perfectly acceptable to study "secular" subjects like history and geography, provided they are seen in their proper perspective, which of course includes the existence of God. I am especially glad for the emphasis in my education on languages, whether Greek, Hebrew, German, French, Spanish, Italian, or Dutch. I wouldn't stake my career on it, but I sense a special closeness to Kuyper when I read him in Dutch or Barth in German or Cullmann in French. I am sure that when I get to heaven we'll all be speaking Greek (or maybe Hebrew! ), but meanwhile I simply marvel at the diversity of language, cultures, and peoples on this earth. I well understand too why so many students find it difficult to acquire another language. Constantly we are confronted with the wonder of what the Lord Jesus is accomplishing with the poor human resources we place in His hands for His use. Thankfully, God is never far off, no matter what we are doing. He is close at hand and is anxious to share our heavy load, whatever it is, be it household chores or classroom assignments. Quite often, though, His leading is very quiet. As I have said, even in the mundane duties of life (like picking okra) we can lead our lives within the circle of His loving presence. 12:30 PM The latest addition to our home page is called Hurry Up and Relax! 6:52 AM Some are asking: Are your classes closed? The answer is yes, but as long as there's a chair in the classroom you are welcome to add. I can sign you in on Tuesday. 6:49 AM How much do you know about Islam? 6:47 AM It was deeply moving to me to get an email yesterday from our adopted son Bereket in Ethiopia, who just had more stitches removed after his successful cornea transplant surgery. Lord willing, he will be fitted with reading glasses in 3 weeks. He plans to start back to school this fall after many years of not being able to do much studying at all. Becky and I just "happened" to meet him while touring the Fellasha village outside of Gondar in northern Ethiopia on our first visit there. Becky was impressed to get his name and address and began to contact doctors in Ethiopia on his behalf. Fast forward 2 years and here you have a young man with a whole new future ahead of him as both a sighted person and as a man whose spiritual eyes have been opened. We'll see how things unfold in the months and years ahead. It promises to be an exciting ride. 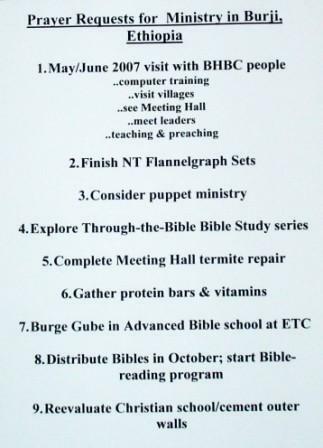 4:52 PM We've had lots of interest in our Bible memory program in Ethiopia, and some of you have asked us for the specific passages a person has to memorize before he or she can get a Bible in Amharic. Here they are: Psalms 1 and 23 (whole chapters), 1 Corinthians 13 (whole chapter), John 3:1-21, John 14:1-21, Romans 8:28-39, James 1:2-6, and 12-25, andPhilippians 4:4-8. How many have completed the program, you ask? Between August and December, 2005, in the Burji district alone 800 young people (between age 7 and 18) completed it; then we opened the program to include adults and set a deadline of Sept. 10, 2006 (which is the end of their calendar year). We were told in May that 1,132 had completed it by then. We're expecting between 2000 and 2500 will have completed it by the September deadline. 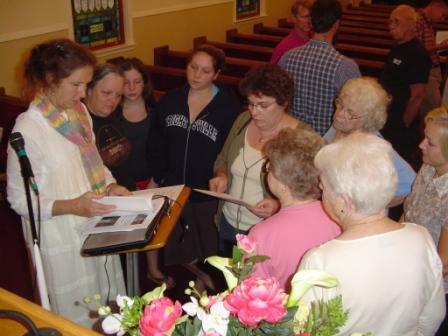 Each person is required to recite the verses to a church elder. In the Alaba District the numbers are much smaller because the Christian population is much smaller; this area is 99 percent Muslim, and especially the rural congregations are under severe persecution. Recently the church has had to take some of the young people who have come to Christ and put them into hiding to prevent their being murdered (as other young people have already been), so the situation is serious. For this reason, we have extended the deadline for the rural areas to Sept. 10, 2007. So far, we have distributed 450 in the Alaba district. It is a great joy to see these young people when they receive their very own Bibles. 3:18 PM The problem with the health gospel. Meanwhile, meet the Lohasians. 11:54 AM Part 4 of Becky's latest trip to Ethiopia has just been published. To read it click here. 10:16 AM The Internet is amazing. Right now I'm corresponding about visiting yet another Muslim country to lecture at their largest university on, of all things, the Bible and its reliability. The Muslim world is in transition and no one can say where it will end up. Everyone seems to agree that there is a window of opportunity today that might not be around tomorrow. The world is in foment, make no mistake about that. As I think about the Muslim nations I realize how much I love them and their people, and how the love of Jesus could make a very real difference in their lives. I pray that I will be faithful to follow the Lord Jesus wherever He wants to send me. 10:12 AM Nice surprise: A family sent us some high energy protein bars and prenatal multivitamins. The protein bars are for Ethiopian evangelists, and the vitamins are for the undernourished mothers-to-be we encounter during our visits to the countryside. A thank-you note is in the mail but if you're reading this: God bless you and many thanks indeed! 10:00 AM A bright and sunny morning shout-out to all of our new students. I think you'll find your first semester the hardest. But I also think you'll find us ready to help at the drop of a hat. My office is Stephens-Mackie 107, and my door is always open. 3:58 PM Wheaton College announces an opening in Christian Thought. 3:55 PM This weekend I’ll be traveling to Virginia Beach for a conference at Green Run Baptist Church. I was looking to see if they a website and lo and behold they do. Isn’t the Internet wonderful? 3:50 PM If you’re just starting out using our textbook Learn to Read New Testament Greek, you might find these vocabulary cards from the Academy of Ancient Languages helpful. 3:45 PM Big Tuesday shout-out to my colleague David Jones. Yesterday he told me he has published everything he has written since he was a senior in seminary. My philosophy? If it’s worth writing, it’s worth publishing. By the way, have you ever thought of setting publishing goals for yourself? When I graduated from the University of Basel in 1983 I determined before the Lord that, as He made it possible, I would write one journal article every year and one book every 5 years. I’m currently a bit ahead of the game plan. But I doubt whether I would have gotten anywhere without setting goals. 3:42 PM I’ve begun this semester by asking God to do things I’m not used to. Our Savior said, “The night is coming, when no man can work.” Ephesians 5:16 tells us to buy up the time. The only way we can save our working hours is by investing them in the souls of men and women. It is not time spent but time gained, for it is an investment in heaven. 3:40 PM Small world. Seems that the director of our Great Commission Center on campus just returned from a trip to Morocco. He’s anxious to tell me about it, including his donkey ride in the countryside. We BECOME 21, TURN 30, PUSH 40, REACH 50 and MAKE it to 60. By now, we’ve built up so much speed that you HIT 70! After that it’s a day-by-day thing; you HIT Wednesday! 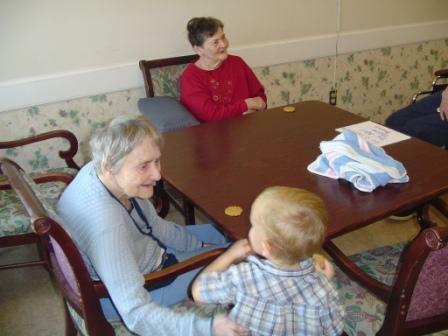 Once we get into your 80s, every day is a complete cycle; you HIT lunch; you TURN 4:30; you REACH bedtime. And it doesn’t end there. Into the 90s, we start going backwards; “I’m only JUST 92.” Then a strange thing happens. If we make it over 100, we become a little kid again. “I’m 100 and a half!” May you all make it to a healthy 100 and a half!! I sometimes wonder: At 54, shouldn’t I still have the energy I had when I was 24? I don’t FEEL any older! 3:22 PM Flooding (and loss of life) continues in Ethiopia. There is no biblical record of a pastor leaving one established church to become a pastor of another. This is clearly seen in the starting of new churches. The biblical precedent was for a new church to start without any official leadership. Outside of the Jerusalem church where the apostles were the first leaders, I'm not aware of any church in the New Testament starting with a pastor in place. This may come as a surprise to many, but it is plainly seen as the pattern in the book of Acts and the pastoral epistles. Read Pastors Moving to Other Churches: Why? 7:30 AM The latest addition to our home page is called How to Master a Foreign Language. Help me, Lord Jesus! Help me to have Thy mind this semester, help me to esteem others as more important than myself, help me to look out for the interests of others and not for my own selfish gains. Let me be nothing more than an earthen pot of clay in which the surpassing greatness of the power is Thine, and not mine. For Thy glory's sake, Amen. 6:53 PM Want to go on a little country drive? 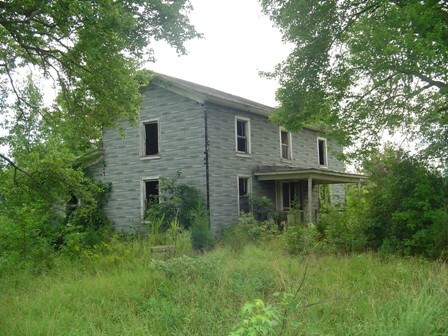 We began our weekend by looking at an old farm house to see if we wanted any of its lumber. The house is located about 20 minutes from our farm. The new owners will be demolishing it. The structure contains doors, paneling, and beaded board that we can use for Nathan's wrap-around porch. The barn on the property also has plenty of tin roofing that will come in handy on future farm buildings. Then we drove to the old Hargrove plantation in Vance County, NC.Colonel Tazewell Hargrove was the commander of the 44th North Carolina Regiment, which became famous during the Civil War for single-handedly holding off a much larger force during the battle of the South Anna Bridge in 1863. Here's what's left of the Colonel's birthplace. 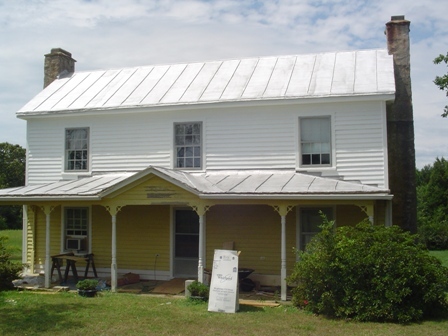 It's one of the oldest homes in the area, dating to the late 1700s. It's crying out for someone to come along and restore it to its original grandeur. 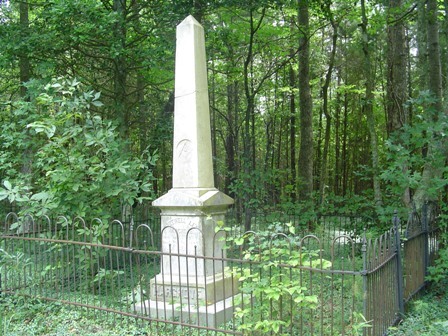 The Colonel is buried in the farm cemetery, along with his wife. 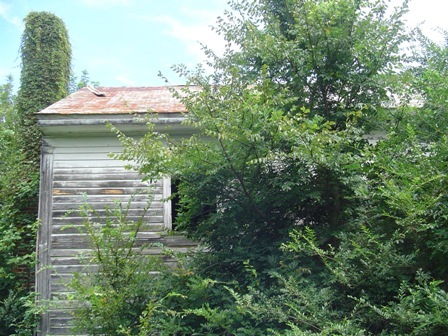 Below is Hargrove's Chapel, which the Hargrove family built for their slaves. Today it is a United Methodist Church. The vinyl siding is a fairly recent addition; a few years ago you could still see the original wood. Then it was back to work. This is the house we've been remodeling. It's a typical two-over-two with an addition in the back. 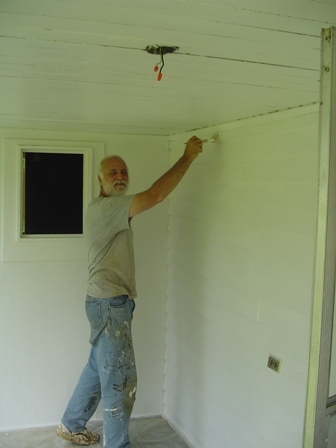 We've painted the roof and the wood siding and are completing the work on the porches and interior rooms. Nate's been painting the inside, as well as installing a new water heater, cabinets, air conditioning units, etc. Me? I'm the porch man. It delights me no end to see an old house being fixed up rather than being left to rot, as is often the case in our area of the country. Most of these old buildings are still structurally sound. But above all, it's been a blast working together as a team. I'm very happy to do what I can to help out, as long as it's totally unskilled labor! 8:20 AM Becky and I just had our coffee on the front porch. What did we talk about? Porches. She had heard an NPR report on "porches in literature," and how the front porch shaped Southern culture for years. As she put it, the porch was a "safe space" between one's privacy and the public space. We love our front porch. And it seems that nature is just teeming with wildlife this year. What better place to watch all the activity from? Meanwhile the Scrounger-in-Chief has invited me to check out an old house he's heard is going to be demolished. We're being offered the wood if we want it. Then it's back to our remodeling job. 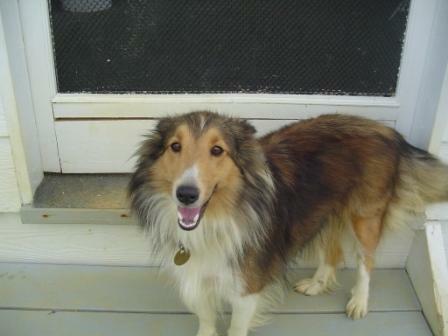 Nate wants me to put another coat on the back porch. My mind says yes but my arm is rebelling. Will I ever get used to manual labor? Probably not, but I do enjoy the camaraderie it affords. Hope you have an enjoyable Saturday wherever you are. 7:34 AM Nathan has been working me to death. Becky says, "Aren't you glad the semester is starting so you can get some rest?" 7:30 AM Jonathan Grubbs has an excellent post on the meaning of the Greek word normally translated "church." He rightly concludes: "Yet I am convinced that its true meaning is and has always been those people who love and follow Jesus Christ." To this I might add that these people are always envisioned in the New Testament as being "in community." In fact, that's my favorite English gloss for the Greek word ekklesia. Yet how rare to find that expression on our church marquees. I recall driving down the street in Orange County, California, and seeing a Catholic church with the sign: "Saint ___'s Catholic Community." I said, "That's it! That's exactly what an ekklesia is!" Thus, I am a member of "Averett Baptist Community." 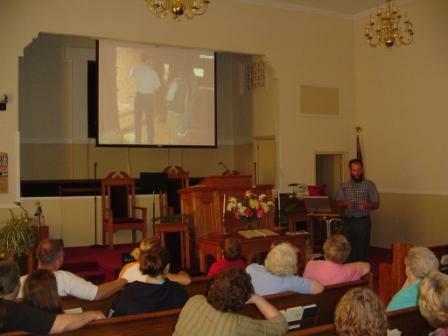 And that's exactly what we are, a group of born-again believers in Jesus Christ who live and farm in the Averett community of southern Virginia and who also meet together for fellowship, instruction, etc. 7:19 AM Becky just completed reports 4 and 5 of her last trip to Ethiopia. I'll post them as soon as I transfer them to Front Page. I think you'll enjoy reading them. 7:15 AM In exactly one month Becky and I will be celebrating our 30th wedding anniversary. We're toying with the idea of driving to White Sulpher Springs where General Lee and his wife spent so many of their holidays. To think that 30 years ago I was life-guarding in Southern California and Becky was in Dallas preparing to go overseas as a missionary nurse! 7:12 AM Looking ahead to Sunday, Becky and I will be back at Tabernacle Baptist Church to report on the status of their sister church in Alaba, Ethiopia. We feel very much one with both of these congregations. Reminds me of the early church, where congregations were committed to each other and to Christ with fervor. Together they "thought the same thing," to use Paul's unforgettable expression in Phil. 2:2. This phrase beautifully describes people who share the same mind and commit themselves to one task, witnessing to others about Jesus Christ. Francis Schaeffer once said that love is the greatest apologetic for Christianity, and Jesus Himself said the world would know that He was sent from the Father when people saw the love between believers (John 17:21). This unity between Americans and Ethiopians -- both rural congregations -- is a wonderful demonstration of this love, and Becky and I feel both honored and humbled to be privileged to witness it firsthand and to function, as it were, as a conduit for their relationship. 7:05 AM Friday shout-out to Mr. Buddy Hanson of the Christian Policy Network. Buddy just sent me a copy of his latest book with the delightful title, It's Time to Un-Quo the Status. Buddy is the editor of www.graceandlaw.com. 7:00 AM Nate and I are having a great time remodeling an old farm house. He had me painting ceilings yesterday and I'll be working on the porches today. A light rain is falling, providing much-needed moisture for our many crops. We'll need to get in another cutting of hay soon but our ancient sickle mover is in the shop. We'll either overhaul it or get a new one. Last week Becky put up I don't know how many cans of beans, tomatoes, beets, etc. She had that kitchen hot! 6:32 AM Becky and I had to miss this year's Society for New Testament Studies meeting in Aberdeen, but thanks to blogdom I've been able to keep abreast of events. Over atEvangelical Textual Criticism, P. J. Williams in particular has done a splendid job of reporting. Heartiest thanks, Pete. The Greek Geek, by the way, has an interesting report of his first SNTS meeting and the encouragement he received from scholars who are a wee bit more down the academic road than he. I thought you would like to know I have decided to study Greek. What I experienced in your class in terms of the Scriptures when seen as they were originally written was powerful. I am really excited! Thank you! Amen and amen. As a Greek teacher, I cannot think of any better news to get from one of my students. 6:26 AM In Bible Study on Wednesday nights our dear under-shepherd is going through the book of 1 Timothy. Paul's insights are extremely practical and valuable, even in terms of blogging -- especially what to avoid. The church at Ephesus needed to learn to keep away from profane and idle talk (which Paul says is falsely called "knowledge"), to withdraw from those who reject sound doctrine, to reject fables and endless genealogies, and to avoid disputes of all kinds. If Paul were alive today I think he would tell us, in unequivocal terms, to avoid the kinds of empty religious argumentation you find in many blogs. 6:22 AM Forgive me, but I couldn't help linking to this post about my all-time favorite restaurant in Kailua, Hawaii, where I grew up. Princess Chop Suey had the best Beef with Broccoli and Char Su in the islands. My mouth waters just thinking about it. And don't get me started about the Hinode rice. If I could only cook like that. 6:43 AM Now here's a first. I've been invited by the government of Morocco to speak at their university in Marrakech this October on the topic of "sacred text translations." The exact dates are still to be determined. 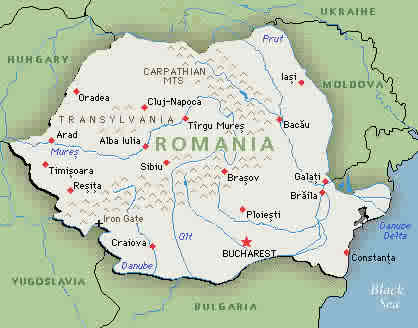 I will be coming off a 9-day trip to Romania, though, and might not be able to fit it in my calendar. Morocco is world famous for two things I enjoy:Arabian horses, and -- can you believe it? -- surfing. J'espère que je peux aller. Here you will find the latest news and updates about our visits to the land of Becky's childhood. She will be adding to it shortly as she rewrites the two reports (!) I omitted from our hard drive. 6:34 AM The words of Heb. 10:19, "we have confidence to enter the sanctuary," do not refer to a church building. I have a continuing quarrel against the practice of calling our meeting houses "sanctuaries." No building on earth today can rightly be called the house of God. The house of God is the bodies of His people. Buildings may mean something to men, but not to God. Jesus is the Great Priest over the house of God, "whose house we are" (Heb. 3:6). 6:28 AM Classes start up again next Thursday. Hard to believe. As always, Jesus is willing to help. In His yoke there's room for two (Matt. 11:28-30). He slides in alongside and helps us carry the load. Just as in Heb. 10:24-25, our students are great about strengthening and helping one another. The mutual encouragement and exhortation we experience on campus is, I believe, quite unique. I wish you could see it and experience it firsthand. Dear Dave, Good to see you back! I now know what withdrawal symptoms are. Yours in Christ, J. G.
8:04 AM Last week we were delighted to have Josh and Donna Bennett for a retreat here at Bradford Hall. Josh, a native of Georgia and an avid fisherman, thoroughly enjoyed our ponds. 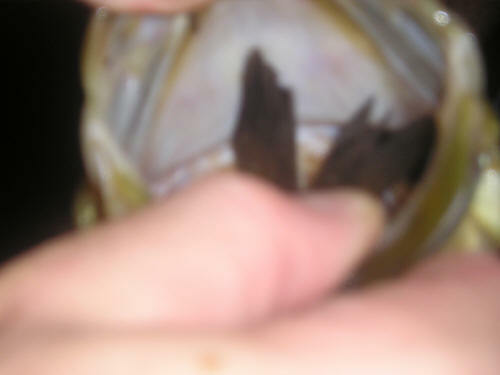 This bass he caught had just swallowed a smaller fish. We enjoyed the big one for supper on Thursday. The chickens were fed the smaller one. 7:56 AM The latest addition to our home page is called Why God Loves the Cities. 7:51 AM Here are a few more job openings: Anderson University (New Testament), Christian Theological Seminary (Christian Education), Wheaton College (Old Testament and Theology), and Columbia International University (Ministry Studies). 7:46 AM Ethiopia Update: The persecution in Alaba, and in the Zobechame church in particular, has subsided, and the believers are meeting undisturbed at least for the time being. When the Lord sent out the 70 He told them it was going to be rough. Evangelists in Ethiopia know this all too well. We've got it so pleasant in America that it's easy to be lethargic. I've often wondered if a little pain wouldn't help. And I have no doubt that, as long as the church in America continues to drift into secularism and statism, pain is on its way. I know one thing for sure: Satan won't surrender Alaba easily. There are millions of lost souls out there, wandering without a Shepherd. We're sent to find them. Becky and I seek to willingly submit to His agenda and to walk empowered by His Spirit each day. We're not involved in evangelism because we feel guilty or because we feel it's our duty. We're involved in evangelism because Jesus stretched out His arms in love on the cross to draw to Himself His lost sons and daughters. He is the Rose of Sharon, the Prince of Peace, the Lamb of God, and our Great Treasure. And He has asked us to join Him in His harvest. What grace! Our "strategy" is simply to love them. Love them until they ask us why. Dear Dr. Alan Black, The Greek New Testament students at the college here in Addis extend their greetings to you. We are now through with Greek I and II and heading for Greek III and IV. And we tell you what! Fasil is doing really well with us. We have received your "Learn to Read New Testament Greek" with us very helpful material! God willing, we would like to extend another greeting at the finish of Greek III and IV and probably in Greek by then. We have received your wonderful gifts - a Greek New Testament each, and we are great full. We hope to see you here in Addis and probably chat in Greek! Greek New Testament students: Asfaw, Yared, Debebe, Eyob, and Fikru. I can't wait to read their letter in Greek. I'm sending you this little donation to help in your missions work. I was at Antioch Sunday morning. But I failed to get my donation in the plate. Keep up the good work. The card contained a 20 dollar bill. Makes us feel like the most blessed people on the planet. 10:39 AM Nemesis personifies "the goddess of retribution, who brings down all immoderate good fortune, checks the presumption that attends it...and is the punisher of extraordinary crimes" (Oxford English Dictionary). For the past 10 days my nemesis has been our Dell computer. On the date of our last blog entry, while trying to restore our computer under the guidance of a Dell technician, yours truly committed the blunder of a lifetime and accidentally deleted all of our picture, Word, and web site files. But the Lord knows and understands all, and He has graciously allowed us to recover many of our picture files and, as of today, has enabled us to restore our entire website with the expert assistance of Mr. Glenn Ansley of our seminary IT department. Glenn, who is the webmaster of www.deeperdevotion.com, was a real God-send, and my heartfelt and eternal thanks goes out to him. As you can imagine, I've got plenty of updating to do and several web essays that are ready to be published. Meanwhile, many thanks for your patience and emails of concern while our site was in limbo.